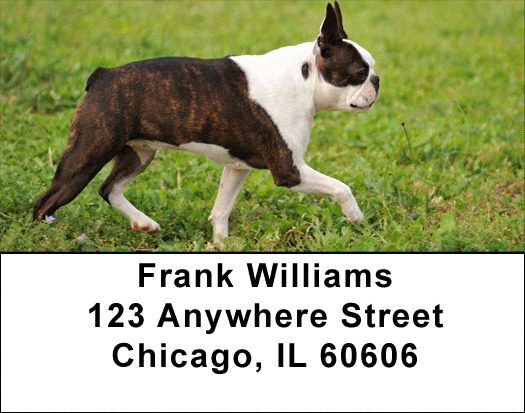 "Boston Terrier Address Labels" product is already in your cart. Boston Terriers are intelligent dogs and make wonderful pets and are one of the few breeds of dogs America can claim as its own. They are a cross between an English Bulldog and an English White Terrier. Originally bred for dog fights, the aggressive traits have been bred out. Boston Terrier Address labels are self adhesive. Matching checks are also available.